When it comes to releasing music, there is a real strategy to adopt, and as an Advisor, I would like to share with you a little blueprint that I use with my own clients, which I think is the best strategy to adopt. Planning the release date is the first thing to consider. That is very important because it helps you see clearly where you are going and define a certain strategy in time and space. I personally think that mapping out your strategy for a release in 21 days is the best. That is not too long, that is not too short either, and it allows you to divide it in 3 weeks. Unless you have access to a network and you are sure to be published in a magazine like Rolling Stone, don’t even bother with that. 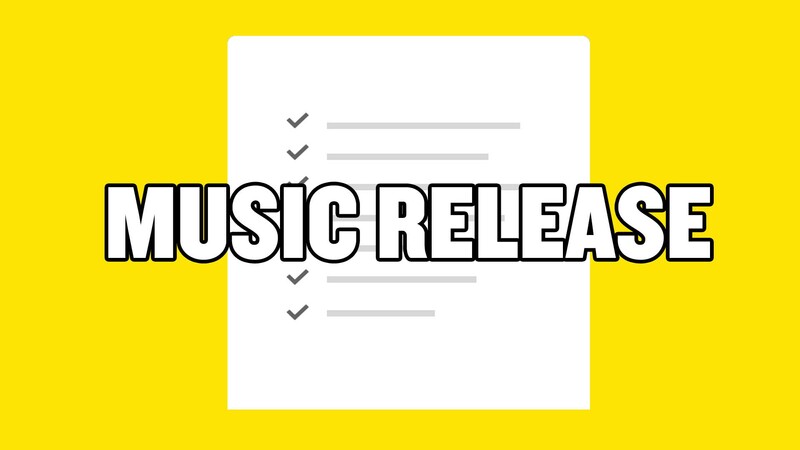 Press releases for music are flooding the internet, journalists couldn’t care less, and it is generally a shot in the dark because you can never target the audience properly. That’s debatable for some; it’s a priority for my clients. Having a music video is super important because it is part of self-branding. There are only 3 pillars of telling a story on the internet: Audio (podcast), Written (blog post), and Video (Music video/vlog). If you are not covering the video part for this release, you will have a hard time trying to bring awareness to your brand with a simple audio or a link. Extra tip: no need of perfect lighting or quality, be creative first and make sure the message goes where it needs to go. You could do an entire music video of you lip-syncing with snapchat filters and make the buzz. This is such a waste of time, energy, and money. Instead of trying to bring a few bucks with what you want to produce, try to actually reach people with your music and, therefore, hit where the market is: online. Trying to sell your music is a total different game than trying to have it heard. You are generally bad marketers, no offense. Of course, it is just a general weakness, so if you are doing it on your own, you’ll get caught up in the sales before bringing awareness. You are so lucky to be alive right now to release your music because social media are where the attention is at, and it’s free. So using all the tools is a way better strategy than not doing anything. Going live via Instagram and randomly cover your own song for your followers and saying “Hi” is going to be the game changer. If you feel like paying $7 for a week’s worth of ads on Instagram, you’ll end up with 134 extra views and 4 negative comments. Instead, keep that money, try to go for $120 and reach out to a targeted influencer that will post a video with your song on it. You were probably considering paying for physical distribution anyway, so if you even have a bigger budget, I’d go all in with that. Want some awareness to your music and, therefore, your brand? Get ready to contact all followers you may have on different platforms and tell them you’ll offer them a song. Don’t expect anything, don’t ask for an email, just tell them. Just give. Instead, put yourself in a position where you want to bring awareness and get people to talk about you. Money will no longer come from Music in the next 36 months, better off taking the leap right now and start building a strong brand around your name to crush it later with partnerships. There is no such thing as competition in Music simply because the market has never been designed that way. The consumer will listen to what he or she wants. He’ll take suggestions actually, but not in a mindset of competition. Therefore, try to have friends that are in your genre and ask for a collab with them to bring awareness as well with their fanbase. Of course, you’ll do the same for them. Maybe even a mutual concert! If you are reading this article right now, the chances are that your music is not really where you would like it to be, let’s not hide it. And that’s ok! Time to really start all this. So my best advice: don’t overthink it, just go do it. It is super exciting to release music, and you should take it just like it is: an ad for your name. Thanks for reading! :) If you enjoyed this article, hit that clap button below ❤ Would mean a lot to me and it helps other people see the story.